Does it produce Braille that meets, or exceeds, the strict regulations set by your country’s national Braille authority? Braille is more than just random dots on a page. Nearly every country sets standards for acceptable Braille dot height, placement and alignment. This standard exists in order to ensure that you are making Braille that is legible and as easy to read as possible. In most countries across the world, the minimum height requirement for Braille is .5mm. 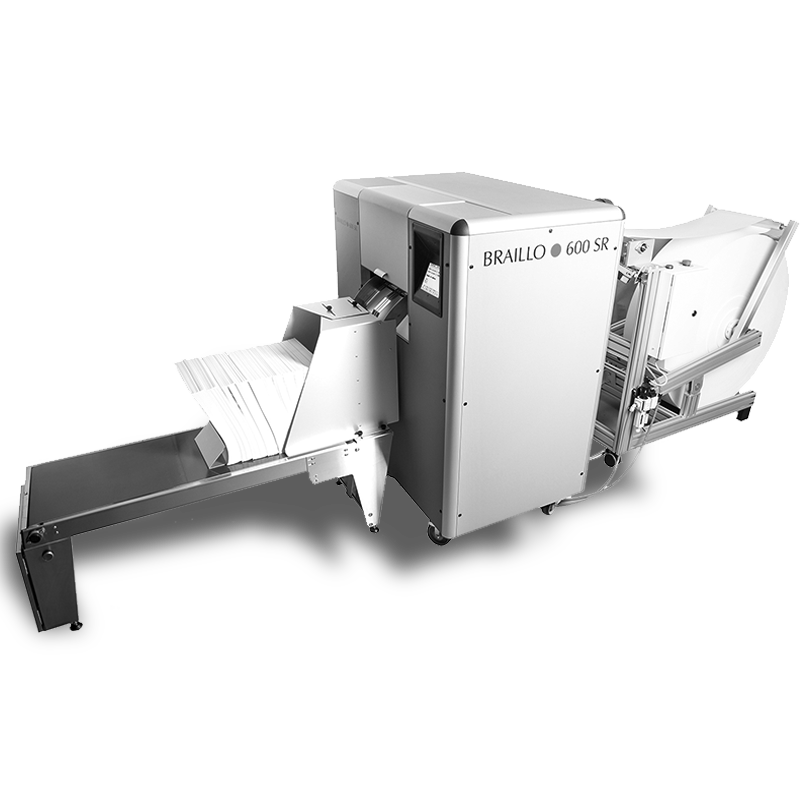 Braillo meets these standards with every embosser, while most other manufacturers do not. Please do your research, as others advertise .48mm and lower. It’s important that your Braille documents meet Braille authority standards. Otherwise, not only are your Braille documents non-compliant, but you are potentially wasting both time and money associated with re-doing the project, and/or purchasing a new embosser that is compliant. Is it built for true production Braille embossing? True Braille production means that you are embossing large quantities of Braille for continuous hours on end – and quickly. This level of production requires an embosser that is specifically engineered to withstand these demands. 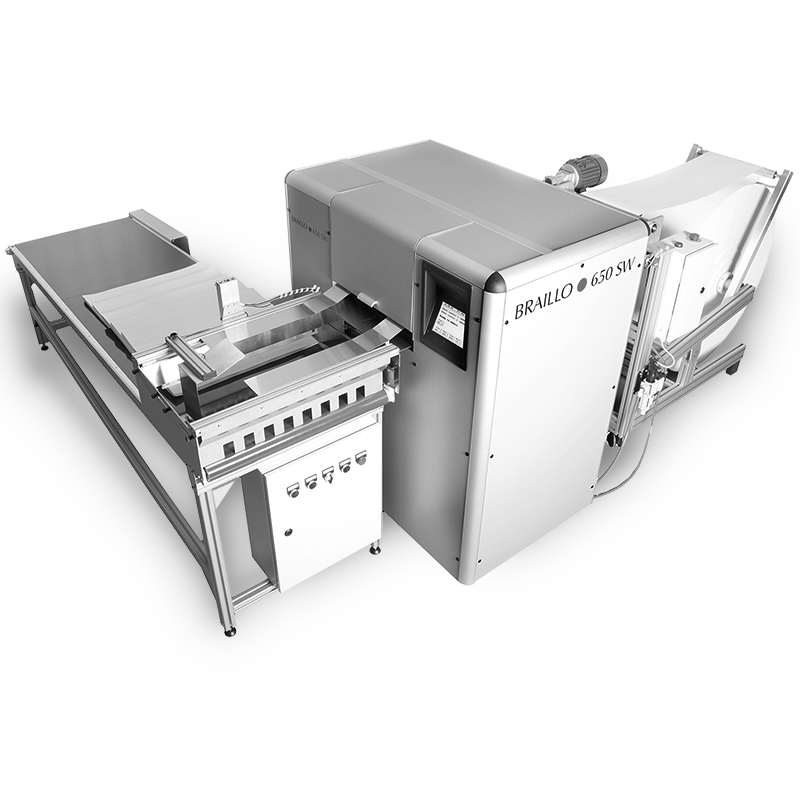 Other products on the market may be marketed as production embossers, but be sure to always compare the parts and mechanisms against a Braillo to fully understand the difference. Make sure that the printer is not just a few personal Braille printers coupled together in a larger box. Lightweight personal printers that are reconfigured to look like a production printer, or solenoid-based Braille printers, will not stack up to the durability of a Braillo, which is made to withstand long-duration, high speed Braille embossing. Using a Braille printer that isn’t built for Braille production not only damages the printer, but can result in wavy Braille cell alignment and uneven dot height. Compare Braillo Braille vs. the competition – we guarantee that you’ll see, and feel, the difference. Is it built for looks, or is it built to perform? While other manufacturers may distract potential buyers with sleek exterior designs, Braillo prides itself on product function: making the highest quality production Braille embossers that will last for decades. Components are made of hardened steel and even the case is made of durable metal. You want a Braille embosser that will perform to the highest standards available, which is what Braillo’s have been doing since 1980. Can you fully trust its reliability? Personal embossers are great for small print jobs such as printing out homework and class lessons, however a production Braille embosser must be reliable for all day Braille production, day-after-day and month-after-month. Additionally, during these long embossing intervals, the Braille must retain its shape, height and proper cell spacing. Ask to see an identical sample page of Braille from the first hour of the day and the last hour of the day – compare and make sure they look the same. With Braillo, they will. Does it have a comprehensive warranty? A warranty comes with any Braille embosser purchase, but Braillo is the only manufacturer to offer a full 3-year comprehensive warranty. To put this into perspective, this equates to 7.2 – 15.6 million printed Braille pages (Braillo 300 – Braillo 650, respectively). 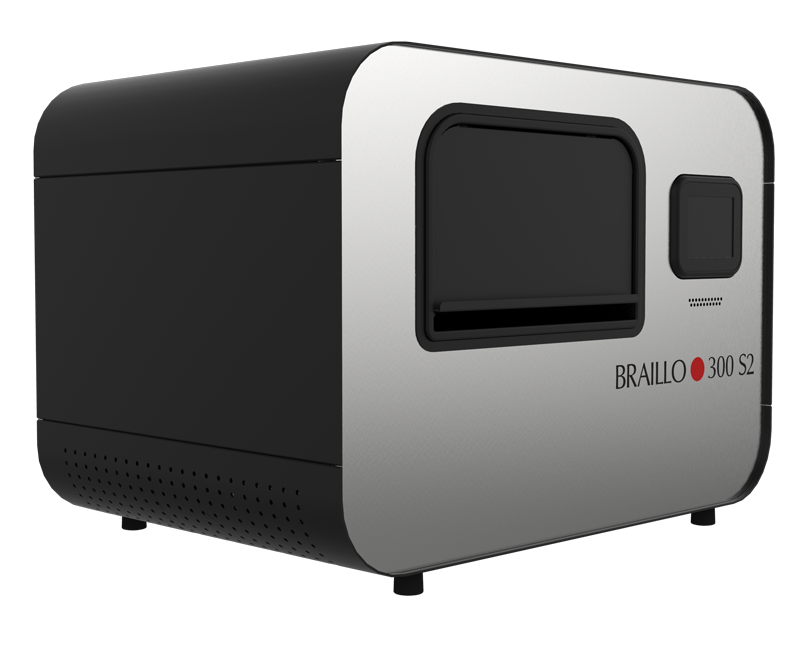 This emphasizes the confidence Braillo has in its embossers – they are built to last, and Braillo stands by its products no matter what. Technology is always changing and it is sometimes hard for existing products to adapt to new software. Be sure to find out whether or not your embosser can adapt to upgraded technology, because otherwise, you may be purchasing a new product altogether sooner than you anticipated. 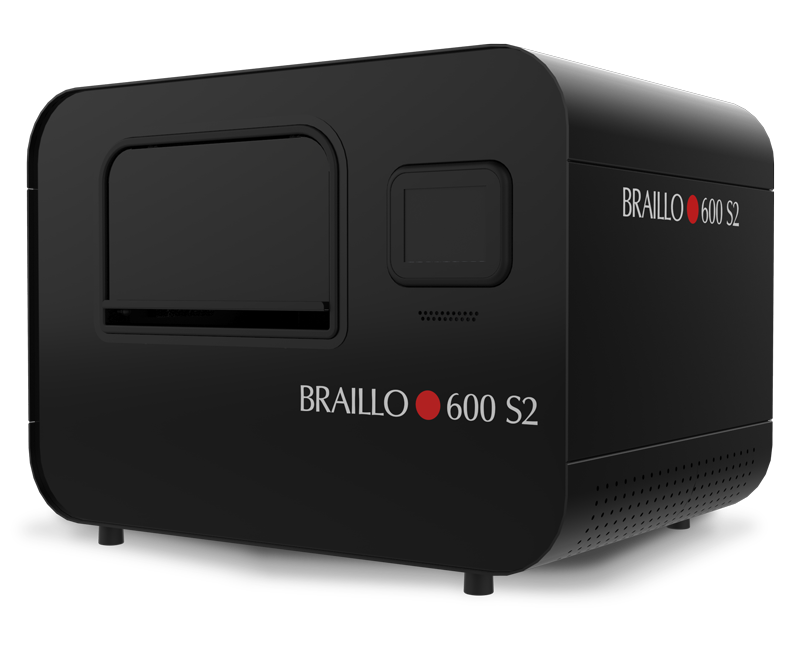 Braillo ensures that all its embossers are backwards compatible, meaning older version embossers can be upgraded to remain compatible with new technology. The purchase of a production Braille embosser is a big one, no matter what scale of cost. Braillo recommends that it’s potential customer gets references from actual users. For nearly 30 years, Braillo has been manufacturing the finest production Braille embossers available – compare that with others in the industry. Our track record in production Braille embossers and our extensive reference list will stand behind our statements – feel free to ask. Have you evaluated the total cost? Braillo encourages buyers to ask themselves all the above questions when considering the purchase of a true production Braille embosser. Of course, cost is always an important factor. While some embossers may be less expensive upfront, Braillo customers know that the quality of our products means higher uptime, faster embossing, consistent quality, fewer repairs and an incredible lifespan. These factors further emphasize that the long-term return on your investment is always superior with a Braillo. Additionally, you’ll be providing your customer with the highest quality and easiest to read Braille available. Braillo builds heavy duty, high quality and durable printers for true, large-scale Braille production. 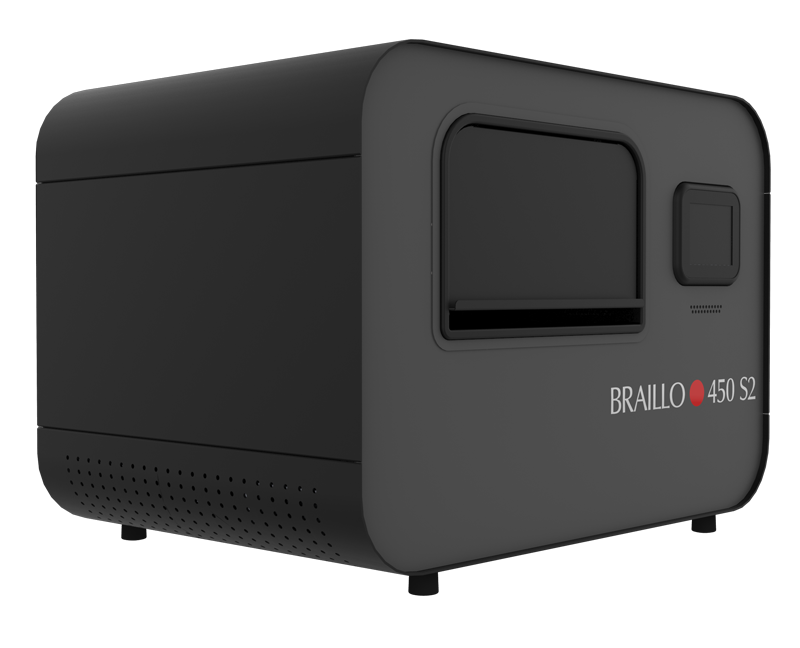 Your hard work will be rewarded with Braillo. Can the manufacturer actually ship the product? Braillo only advertises what it can ship. 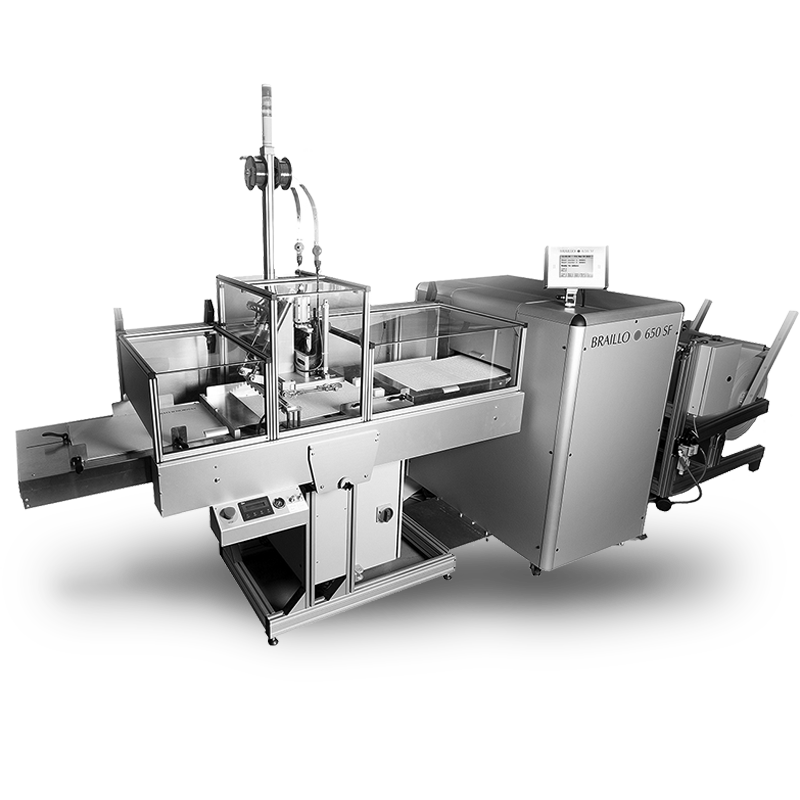 Currently, we are shipping all embossers quickly and on schedule. Other manufacturers are not. Make sure that when you place an order and pay for an embosser, that you get a firm shipping date.